Portrait, Landscape, Speaker Channel, Cable Gutter, this has everything!.......for ants. This was designed to work with a Galaxy Note 2 w/ Cruzerlite TPU case or other comparable case. This is very much a WIP. 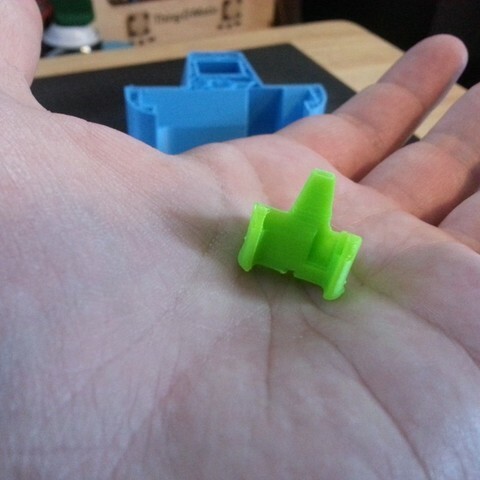 I am not able to get this to print without warping on my TOM. I'll try again when my M2 comes in. Feel free to print it and post pics. Let me know if the actual design of it works. I haven't been able to iterate it much since most of my work on it has been to get the huge chunk to print. It is a very rough draft. I know a stand doesn't have to be this big, but I had an image in my head, and was just trying to get it out!